The National Public Safety Telecommunications Council (NPSTC) is proud to award the 2018 Sue Swenson Photo Richard DeMello Award to Sue Swenson, FirstNet Board Chairwoman [2014–2018]. The DeMello award is NPSTC's most important honor, and is presented to one individual in public safety communications who has demonstrated the highest levels of personal and professional conduct and performance in the local, state, and national public safety communications arena. For 6 years Sue Swenson has provided vision, leadership, and technological expertise in her roles with the First Responder Network Authority (FirstNet).NPSTC is honored to offer our appreciation and recognition of her work that has helped to advance the cause of public safety communications. Thanks, largely due to Ms. Swenson's leadership, the FirstNet Authority, in partnership with AT&T, is now delivering the long sought-after "Nationwide Public Safety Broadband Network." As Ms. Swenson said at the June 2018 Public Safety Communications Research (PSCR) Broadband Stakeholders Meeting, "We have spent so many years talking about what seemed to be the elusive nationwide public safety broadband network. It is thrilling this year that FirstNet is finally here and first responders are using its capability with great satisfaction." Harlin McEwen, former Chair of the FirstNet's Public Safety Advisory Committee (PSAC), who received the very first DeMello award in 2006, said, "I am extremely pleased that Sue is being honored with the DeMello Award. She is most deserving of this recognition. When she was appointed FirstNet Board Chairwoman in 2014, the first action she took was to elevate the importance of the PSAC and to open FirstNet Board meetings for public attendance. Since then, she has continually stressed that the NPSBN was being developed for public safety and by public safety." He was echoed by FirstNet Board member, Kevin McGinnis and also a DeMello awardee, who added his appreciation. "Sue Swenson has succeeded in understanding the complex relationships among, and communications needs of, public safety responders. She has been able to integrate that understanding with her vast wireless industry expertise to be the outstanding leader that we needed to move the concept public safety had in 2006 to its fruition today. At a fragile time when FirstNet was evolving from a Board with no staff to hiring that staff and adopting a firm roadmap to success, she mastered the unique blend of perspectives on the Board and in the federal government. From initial hands-on efforts with early adopters, through the lauded Request for Proposal process that gave us our private partner, to the Opt-in/Opt-Out process, and current implementation she has worked closely with our talented staff to put us where we are. As one of the early public safety promoters of the NPSBN, I thank you Sue Swenson." After years of influence by public safety groups, Congress passed groundbreaking legislation for a new Nationwide Public Safety Broadband Network (NPSBN) in February 2012. The legislation allocated the D Block spectrum to public safety, provided $7 billion federal funding for the network, and established a nationwide governance structure, the First Responder Network Authority (FirstNet). The FirstNet Board was appointed on August 20, 2012. At the time, Ralph Haller, Chair, NPSTC, said, "FirstNet will develop and operate the nationwide public safety nationwide broadband network (NPSBN) that will be based on a single, nationwide network architecture, enabling first responders and public safety officials to communicate with one another within and across jurisdictions and enhancing the safety of America's first responders and its citizens." As of June 2018, Ms. Swenson reported a "significant number" of public safety agencies across nearly all states have signed up for the service - more than 60,000 customers at more than 1,000 agencies, with 31 devices certified to operate on the network, and more apps are available in the FirstNet apps stores. Sue Swenson was named FirstNet Chair in 2014 after serving 2 years as an inaugural member of the Board. In May 2014, she was tapped by Commerce Secretary Penny Pritzker to succeed Sam Ginn,who had chaired the FirstNet Board since its inception. 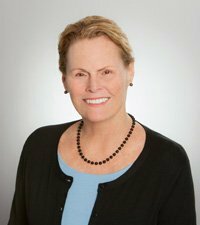 Sue Swenson brought her extensive experience in the telecommunications and technology sector, serving in top executive roles in a number of mobile communications, software, and digital content companies. She has served as CEO and Chair of the Board of Inseego Corp., a leading global provider of SaaS telematics solutions from 2015-2017 and as President and CEO of business software provider Sage North America from 2008-2011. Ms. Swenson also served as COO of T-Mobile USA, President and COO of Leap Wireless, International (Cricket Communications) from 1999-2004 and President and CEO of Cellular One from 1994-1999. She started her telecommunications career at Pacific Telesis holding various management roles including President and COO of Pac Tel Cellular from 1990 -1994. Ms. Swenson serves on the Board of Directors of Harmonic, Inc. In her remarks in June 2018, she reviewed some of the recent major steps along the way to successfully providing a NPSBN. In March 2017, FirstNet signed the contract to build the network with AT&T. The next order of business for FirstNet was finalizing the state plans, which was accomplished in record time, with the plans delivered 3 months ahead of schedule. The states started opting in to FirstNet. "By the end, every single state opted in - another important milestone achieved," she said. In May 2017, when the NPSBN builder AT&T announced it was making its entire network available to public safety by the end of the year, with priority and preemption, instead of having to wait to deploy Band Class 14, FirstNet began offering service in short order. FirstNet is the first nationwide network to have offered preemption over LTE for public safety. The next key deliverable was the FirstNet core, she said. "On schedule again, the fully dedicated, redundant and physically separate core was delivered and FirstNet customers are currently being migrated. And, already, the dedicated FirstNet security operations center is online and operating. And dedicated FirstNet personnel are in place to provide 24/7/365 customer support." "Together, we accomplished what we set out to do back in 2012," she said. "Six years later, we are now ready to write the next chapters of the FirstNet story. Many of you will be responsible for making sure those next chapters are as exciting as the first one." Sue Swenson has provided a true service through the time she has devoted to furthering the cause of public safety telecommunications through her unwavering commitment and expertise. NPSTC and the public safety communications community thank Sue Swenson. The official presentation will be made to Ms. Swenson in New York City at the Radio Club of America (RCA) awards dinner on November 17.